Discussion in 'Non Disney Photos / Mobile Phone Photos' started by ddindy, Feb 6, 2019. If anyone has visited Universal Studios Hollywood, you now have a place to post your photos. In April, 2017, my sister flew down from Oregon and met me at Disneyland on Saturday. On Sunday we spent $30 to rent a car and drive across LA to Universal Studios Hollywood. At the recommendation of Scott and Tracey of the Disney Indiana podcast, we splurged for the Universal VIP experience. That gave us a guided tour of the park with front-of-the-line entry to most of the major attractions, a special version of the famous Universal Studios tram tour, an excellent lunch catered by the people who feed the movie stars on the lot, and best of all, an unlimited front-of-the-line pass to use after the tour. We put the pass to good use, riding Harry Potter and the Forbidden Journey seven straight times. I'll be posting some of my USH photos over the next several weeks. To start us off, here's a shot of Hogwarts Castle taken near the end of our visit. 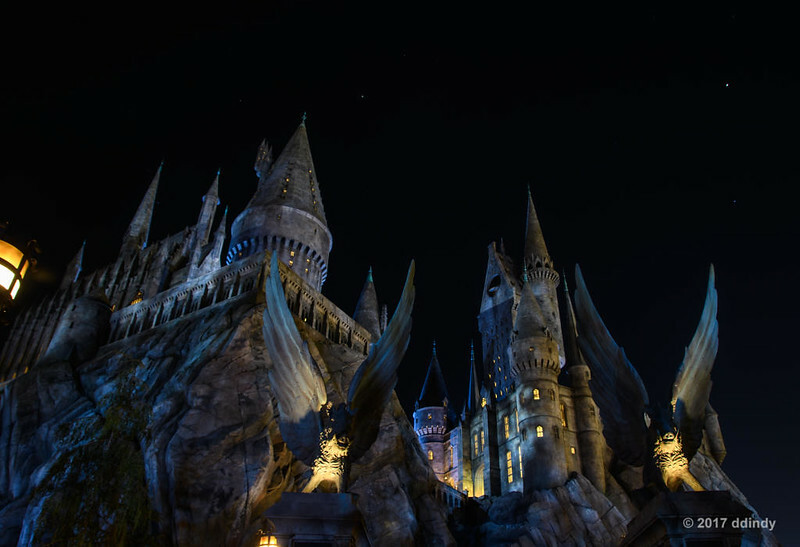 It looks quite a bit like the one in Orlando, but the topography of California's version of Hogsmeade is flat, so the castle entrance is not at the top of a hill. Nancy AK, jbwolffiv and gary like this. One of the perks of the VIP experience was the special studios tour. Two of the morning tour groups were loaded on a VIP tour bus and given a modified version of the regular Universal Studios tram tour. The route hit all of the highlights, but not necessarily in the same order as the regular tour. In addition. there were a few stops where we were allowed to get off the bus and walk around. This was one of those stops. The scene is from the 2005 version of War of the Worlds where a 747 has crashed into a suburban neighborhood. 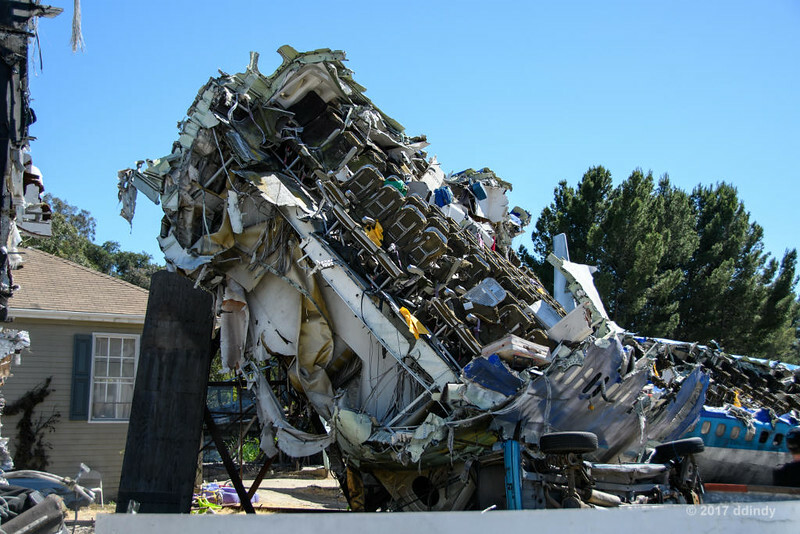 The set designers took a retired aircraft and made it look like it had actually crashed. It's a chilling sight in this post-9/11 world. 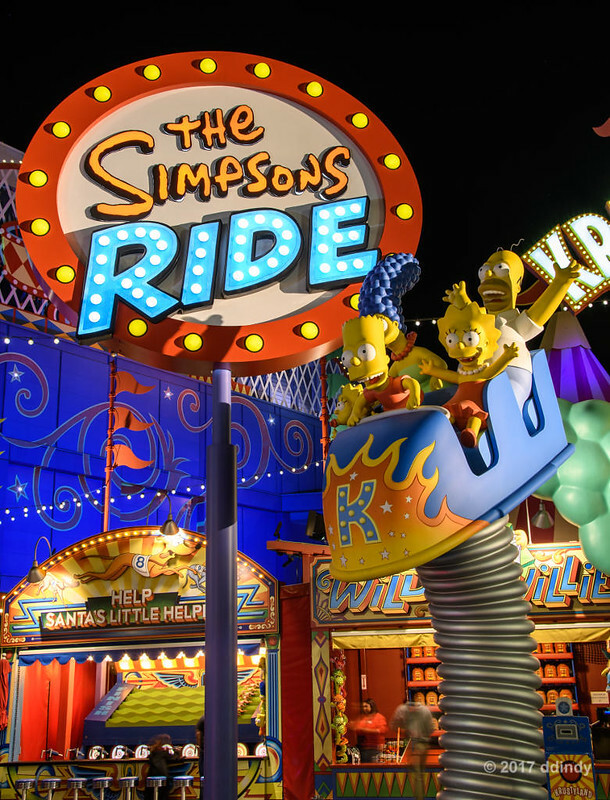 The Springfield area of Universal Hollywood is a bit more elaborate than its Florida counterpart. 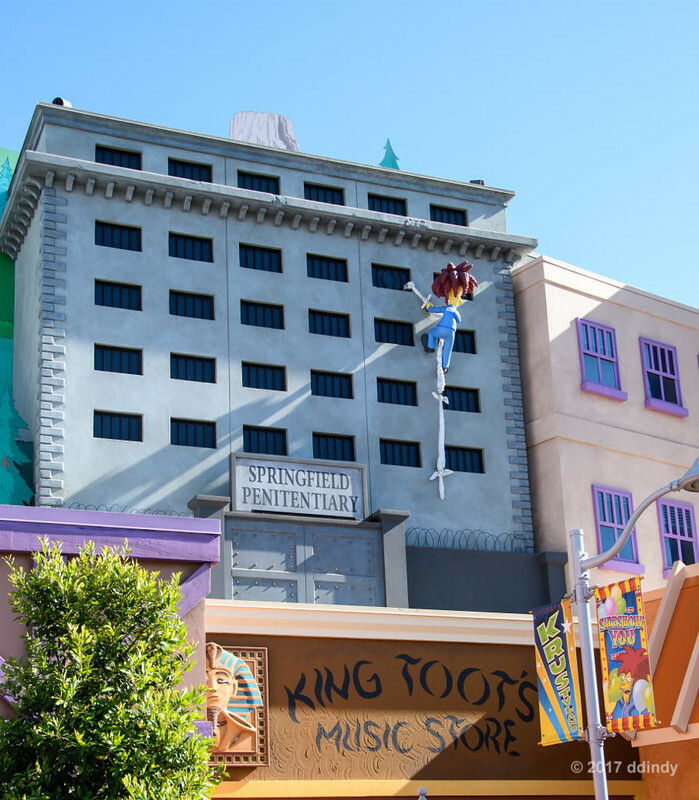 Here we can see Sideshow Bob climbing out of the Springfield Pen, on his way to another failed attempt to kill Bart Simpson. 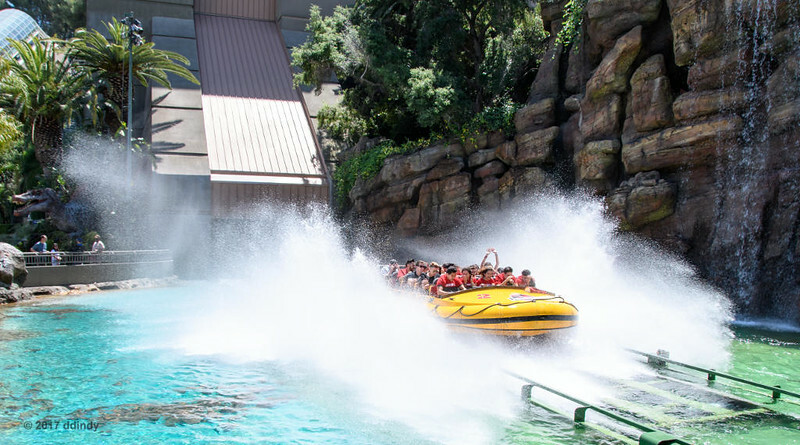 I recently posted a photo of the big splash at the end of Universal Orlando's Jurassic Park River Ride. Universal Hollywood had a similar ride called simply Jurassic Park The Ride. The splash at the end of that ride was significantly smaller. 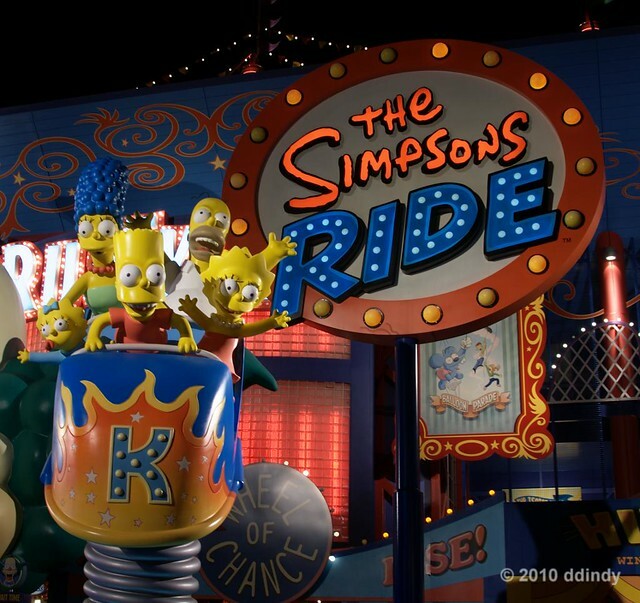 You'll notice that I said Hollywood "had" the ride. It's currently closed for retheming to the current Jurassic World film franchise. 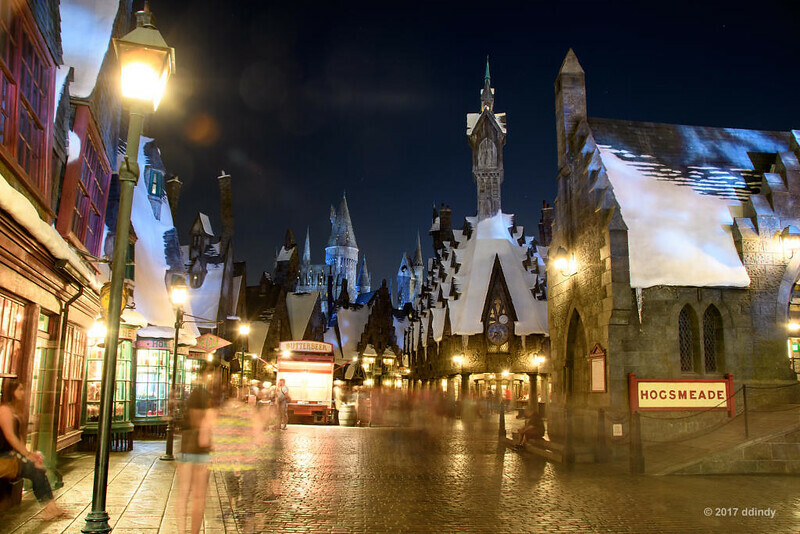 Here's Hogsmeade from near the entrance. You'd never know that Shrek is just to the left of Hogwarts Castle.